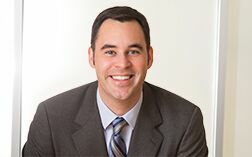 Sean P. Paulich is an associate in the firm’s Insurance Coverage Practice Group. His primary focus involves defense matters for insurance carriers. Mr. Paulich earned his B.A. in History from the University of Washington and his J.D. from Seattle University School of Law. Prior to attending law school, Mr. Paulich worked for KIRO radio, Amazon.com, and the King County Bar Association. While in law school, Mr. Paulich worked for the Washington State Bar Association’s Moderate Means Program, Washington Lawyers for the Arts’ legal clinic, King County Bar Association’s Volunteer Legal Services, and Catholic Community Services’ Legal Action Center. In his free time, Mr. Paulich enjoys music and songwriting. He has performed live at many Seattle venues. Mr. Paulich also enjoys playing soccer, cycling, and cheering on Seattle’s home team Sounders, Mariners, and Seahawks.